It would be difficult not to run into a concert hall while travelling in Germany. Even the smallest towns have one and there’s always something going on. In most modern halls, the sound and the views are equally good in the cheap seats, so catching a concert needn’t break the bank. Sunday afternoon or evening concerts are usually less expensive and there are often free concerts during the week at noon. Tickets can usually be acquired even for the most popular Friday and Saturday night shows by queuing for returns at the box office a couple hours before showtime. 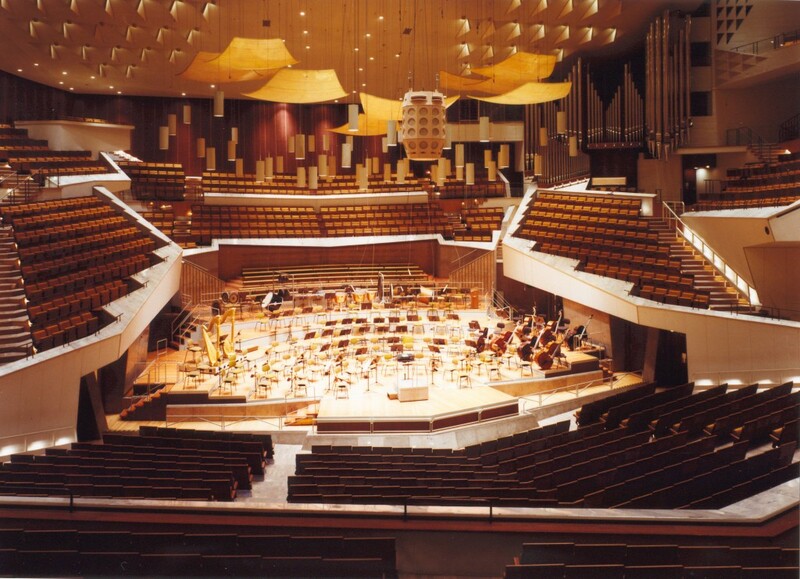 To help you get started, here’s a list of some of Germany’s best concert halls. The big news in Germany this year was the opening of the Elbphilharmonie in Hamburg. Five years behind schedule and 10 times over budget, the Elbphilharmonie is the most expensive concert hall in the world. When it opened in January 2017, Germany shouted a loud, ‘finally!’ The building itself is an architectural marvel, built on top of an old warehouse right on the riverbank. Even if a concert is not on the agenda, a tour of the building is now the highlight of any harbour visit. Two months before the Elbphilharmonie, Germany’s cheapest concert hall opened in Bochum, a former industrial city in the north west of Germany now in the process of reinventing itself for the 21st century. The entrance to the hall was built inside the façade of an old church and inside the hall itself, the vibe is cosy and welcoming. The Philharmonie in Berlin, completed in 1963, is the first of Germany’s great modern concert halls. The gold-plated tent in the Ocker neighbourhood of west Berlin was created by architect Hans Scharound. Inside, the seats are arranged in terraces, so no seat is far from the action. The resident orchestra, the Berliner Philharmoniker, is considered one of the best in the world and concerts are often sold out. If booking ahead isn’t possible, try lunchtime or early evening concerts for a better chance. Wuppertal, a small city an hour north of Cologne in northwest Germany, doesn’t often make the news and its fantastic concert hall, the Stadthalle, is also often forgotten. A shame, considering there are not many concert halls in the country located in Neo-Renaissance castles. Opened in 1900, it was considered to be as good acoustically as much more famous halls in Leipzig and Vienna. The building was bombed heavily during the Second World War, now rebuilt and home to the Wuppertaler Sinfonieorchester. Located in Gendarmenmarkt square in the central Mitte district of Berlin, the Konzerthaus spent most its life as the National Theatre. After the original building burned down, a new and improved version was opened in 1821 and continued as a playhouse until it was badly damaged in the Second World War. The hall was opened again as a concert hall in 1984 and now has a house orchestra, as well as concerts from many different acts. Acoustically, it has been ranked as one of the five best concert halls in the world. Bad Kissingen is a town known for the cure, that is, a place wealthy people in the 18th and 19th century went to take the waters and recover from whatever ailed them. 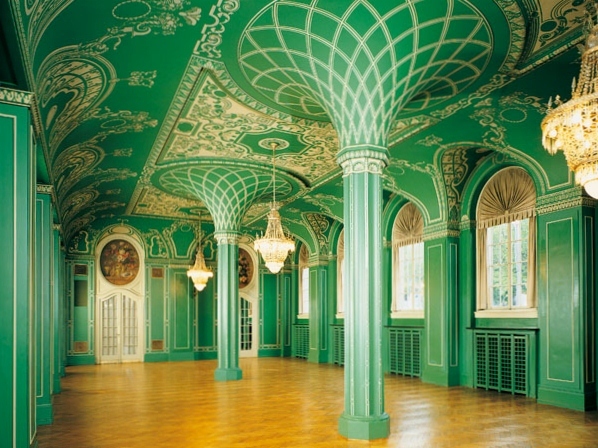 Since the cure usually took several months, patients needed something to do and so in 1913 the concert hall was opened. The main hall and chamber music halls were completely renovated in 2005 and the building is now the home of the Kissinger Sommer festival and various visiting musicians. First opened in 1984, the Philharmonie in Cologne is neither the standard shoebox shape like the Konzerthaus in Berlin, or the terrace shape like the Philharmonie in Berlin or Elbphilharmonie. Instead, it gives the listener the feeling of being deep inside a space ship. Cologne is a major stop on the European tour circuit, so there is always something on.